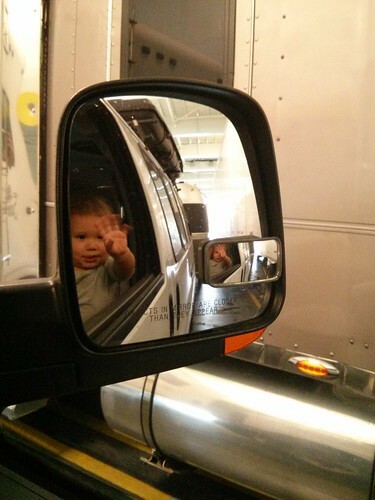 Mali Mish – Day 16: Port Angeles to Whidbey Island. We got here late last night after a full day of driving the long way around the Olympic Peninsula. It was totally worth it. 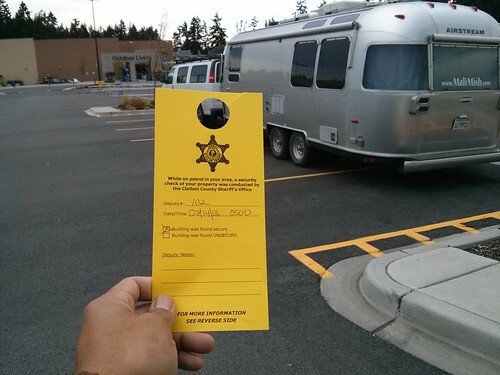 We got a little tag from local police on our windshield this morning. At first I was thinking that it was some kind of B.S. warning for overnight parking here. Turns out, it was just a courtesy notice that they had been patrolling the area and everything looked good and safe. I can appreciate that. 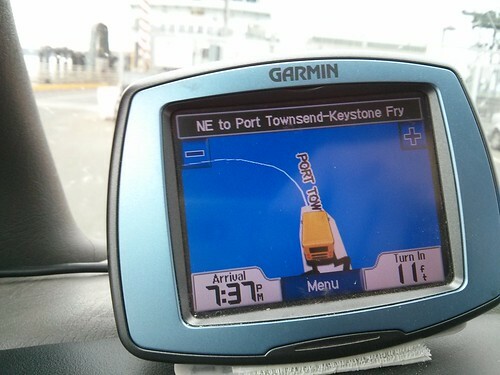 As usual, we didn’t really know how long we would hang out near Port Angeles. But what we knew for sure is that the girls needed to get their Junior Ranger badges from the visitor center of Olympic National Park before we got too far away. That was our first stop. 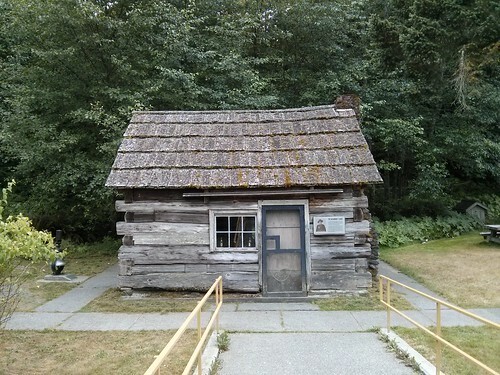 This is the Beaumont Cabin that sits just behind the visitor center. It was built originally a mile north of the current spot by Elliott Beaumont in 1887. He and his wife homesteaded on their 160-acre property for more than 40 years. With badges in hand, we decided to drive east to Port Townsend where we will be taking the ferry across Puget Sound to Whidbey Island. Not really knowing what to expect, how much the fare costs and when the next ferry leaves, we showed up and found ourselves at the front of the line for the next boat. I guess it is now or never. 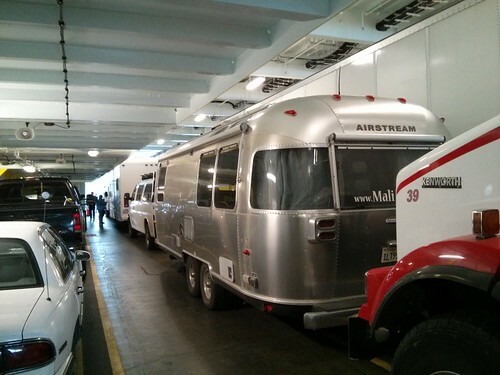 It isn’t always easy to get a long rig like ours on to a ferry so when an opportunity rears its head, we have to take it. This is the second time we have taken the Mish aboard a ferry. 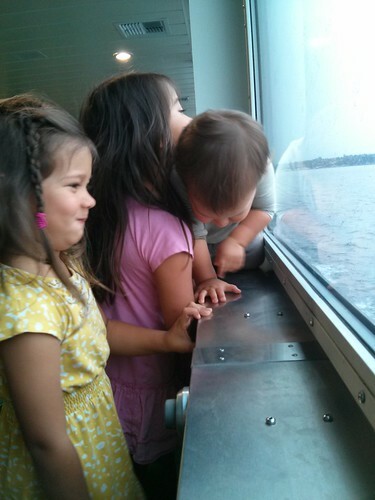 It had been almost three and a half years since this happened when we were crossing Galveston Bay. 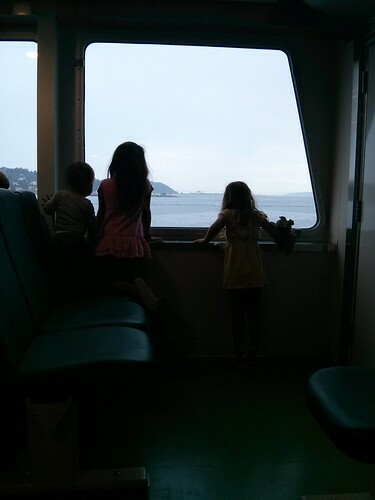 The Washington ferries feel just like the ones we take when we visit Marlene’s grandpa’s stone house on an island in Croatia. So much so we instantly got cravings for all of the foods we eat during our visits. 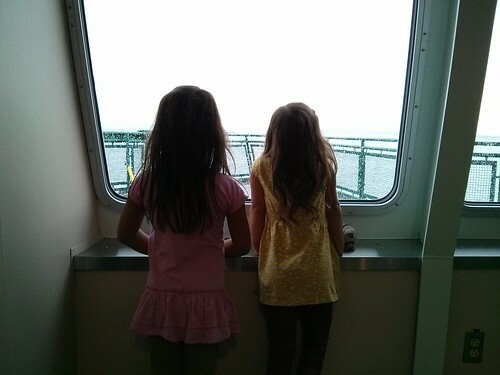 Since we kind of got on this ferry by chance, we don’t really know what we are going to do when we get to Whidbey Island. What we do know is that our friends Josh and Jessa of 1337stream are somewhere near and we have not seen them since they came through California 3 months ago. They are one of several Airstreamers we are planning to head into Canada with but we will really appreciate to have some time to spend with just them before the big rendezvous with everyone. Summer here in the Pacific Northwest is prime season and most campgrounds will most likely have very few campsites left. Our goal is to head to the northern part of Whidbey Island and try our luck at Deception Pass State Park. We were fortunate to have found a couple of sites at Deception Point. Josh, Jessa and their son Jack will be here later tonight and tomorrow we will be exploring in tandem. 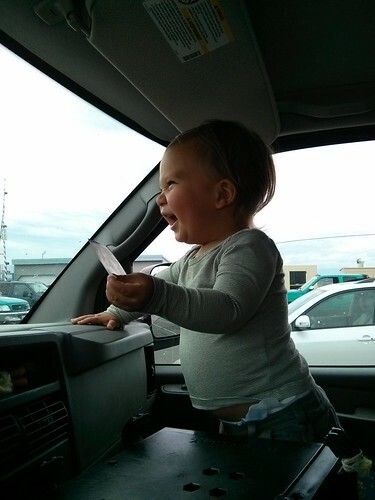 One Response to Day 16: Port Angeles to Whidbey Island. Hello guys. I have been following you on Instagram for awhile and been working my way back through your blog. 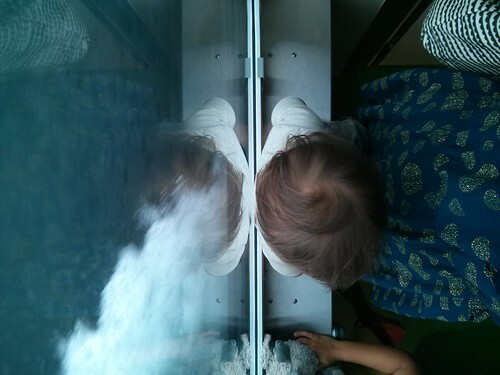 I see the photo at the top with the kids bed which looks to be the couch with a rail. We currently camp in an Outback 310BHS which has a kids room with four bunks for our three kids. I have been curious how you guys do it in a 25 footer without bunks. Do you have any specific blog posts about sleeping arrangements? Are you taking up and down the dinette daily? What do your kids think about their arrangement? 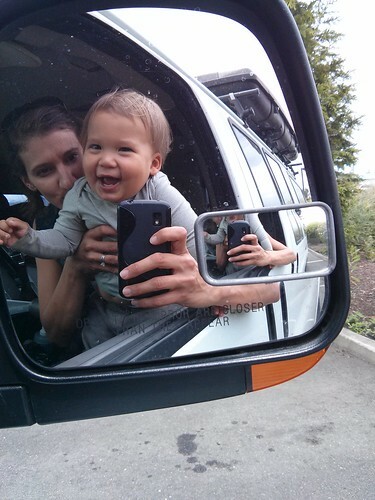 The main reason I ask is we are considering switching to an airstream when my youngest, currently 1, turns 4 and then hitting the road for a year or two. 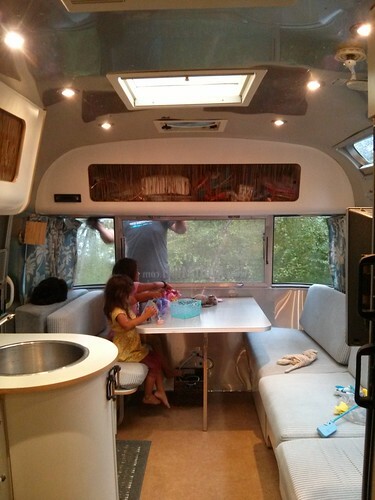 There is only one airstream model with bunks, but you guys seem to manage without them and I like the look of the ones without bunks better (no cyclops windows).